Home > Historic Buildings > Marple Hall > Marple Hall and outbuildings. 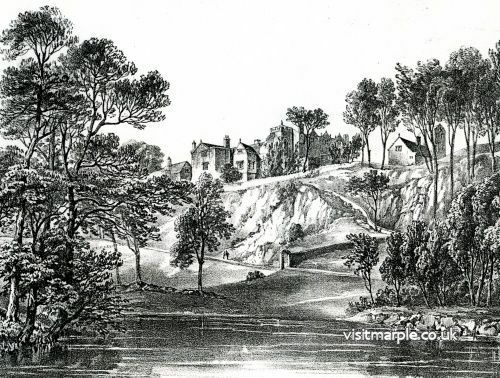 Sketch of Marple Hall from the ornamental lake. This view is from Marple Dale, where there was an ornamental lake with steps leading down the bank from the hall. Updated from Marple Local History Society Archives 15 August 2010. Album name: picadmin / Marple Hall and outbuildings.